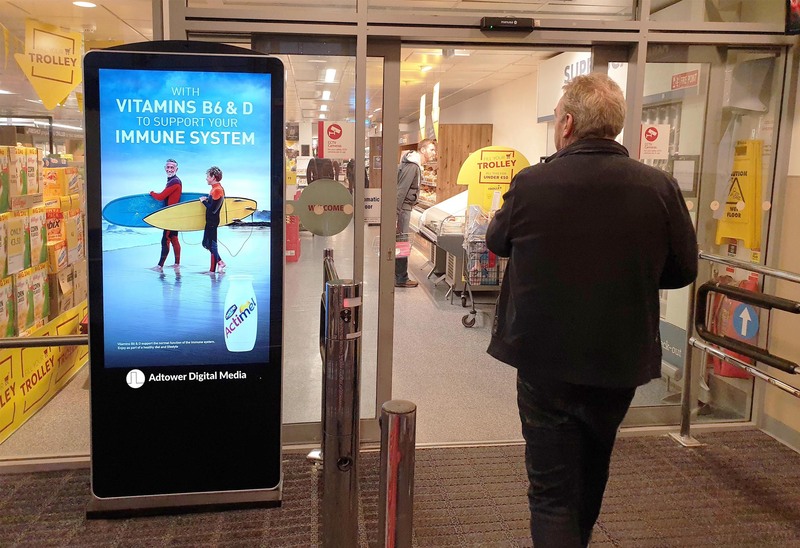 Digitower_SV are large 55” full motion digital advertising units, situated at key entrance locations at 100 SuperValu Stores. 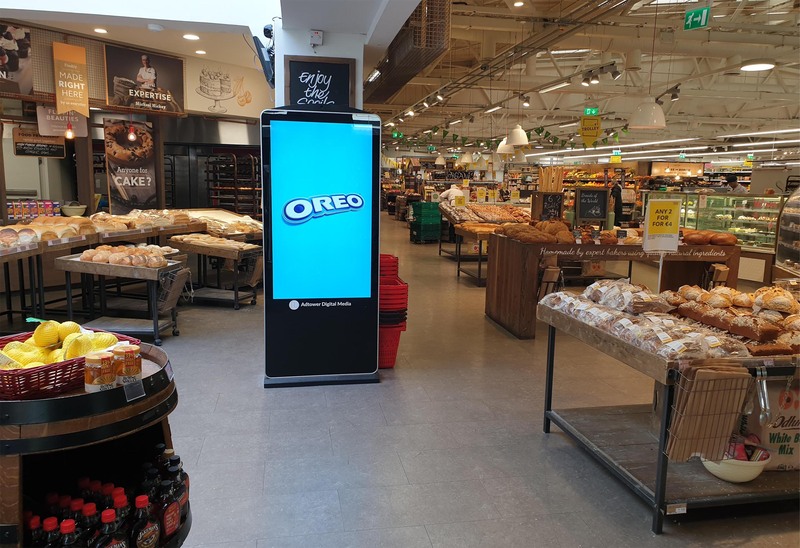 This network at SuperValu offers brands the unique opportunity to communicate and engage with customers prior to commencing the instore journey. Digitower_SV can be bought within a PA cycle, ‘DOOH’ cycle or on a more bespoke reactive basis depending on your campaign goals. Using BroadSign, the units manage content in real-time, allowing for total flexibility. Glenisk used the network to launch a dynamic contextual campaign where real-time data was integral in communicating a message to the consumer by way of a live countdown to Ireland Rugby matches. Each of the Digitower_SV units are equipped with our data analytic system, ADAM, collecting live audience information for your campaign allowing for full campaign accountability in the form of audience impressions & composition along with creative performance information. ADAM (Anonymous, Data, Analytics & Metrics), powered by Quividi, is an image processing and analytical suite of software which collects anonymous metrics. ADAM is a face detection system, it cannot perform face recognition.